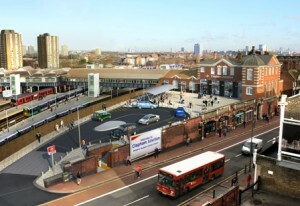 The proposals will help regenerate the Town Centre and will transform the station. This is once in a life time opportunity, it the plans are not supported we will face years of continued dreadful conditions at the station. 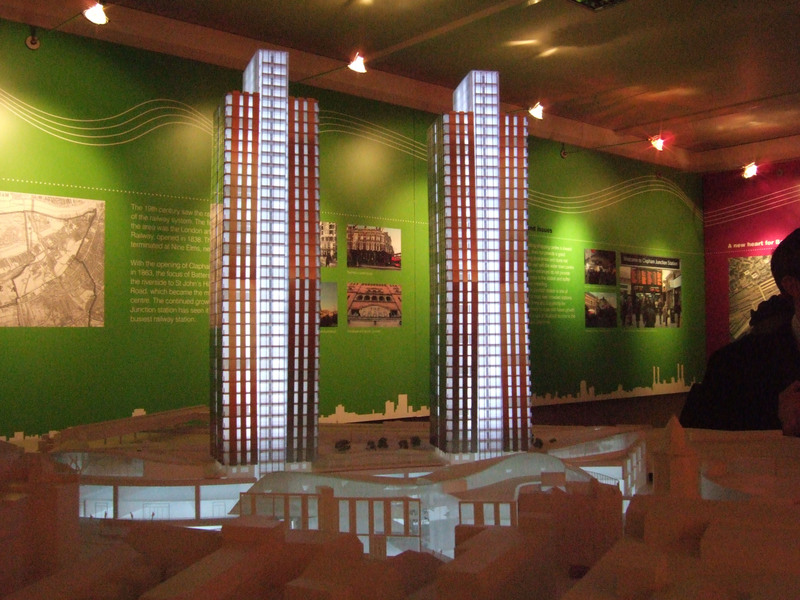 In May 2009, the proposal was withdrawn, with the help of the hundreds local residents who sent more than 700 letters of objection to the Council, and signed petitions to refuse the scheme. So, as the developers warned, has the station been doomed since the failure of their plan, and left in a derelict state? Not at all, this is actually the opposite that happened. Lets see below all the improvement that we saw in the pas 5 years, and even more to come. 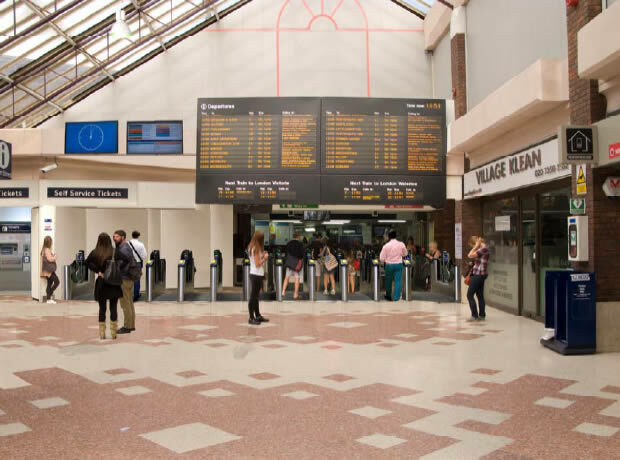 The Brighton Yard entrance, which had been out of use for over half a century, has been restored to provide an additional way into one of Britain’s busiest stations. 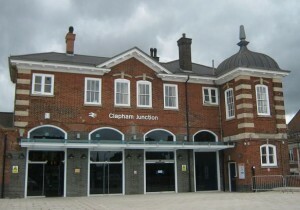 The new step free entrance to Clapham Junction station was officially opened in May 2011. 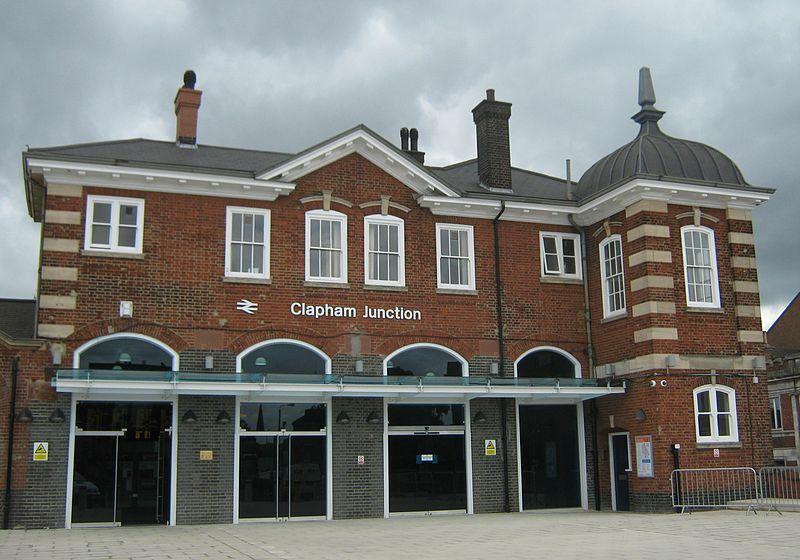 The entrance building is based on St Johns Hill and leads directly into the station’s existing footbridge. From there passengers can access every platform via newly installed lifts or staircases. Funded through the government’s Access for All programme, the creation of the step-free route into the station and from the over-bridge to all platforms made the station fully accessible for everyone (particularly those with reduced mobility, heavy luggage or young children). The installation of glazed passenger lifts was achieved in May 2011 (although they later added an additional lift from Grant Road entrance to platform 1). 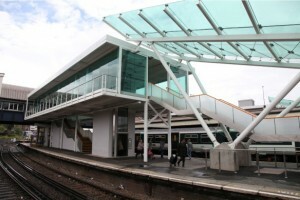 New canopies have been installed on main platforms from 2011. Platform 10 (one of the busiest for trains going to Waterloo station at rush hour) as been revamped in 2012-2013. 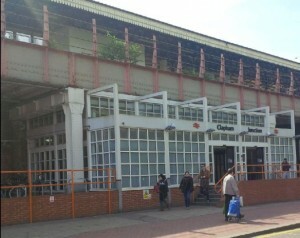 Clapham Junction station entrance on Grant Road had major refurbishment in 2012 in order to accommodate the overground line extension. 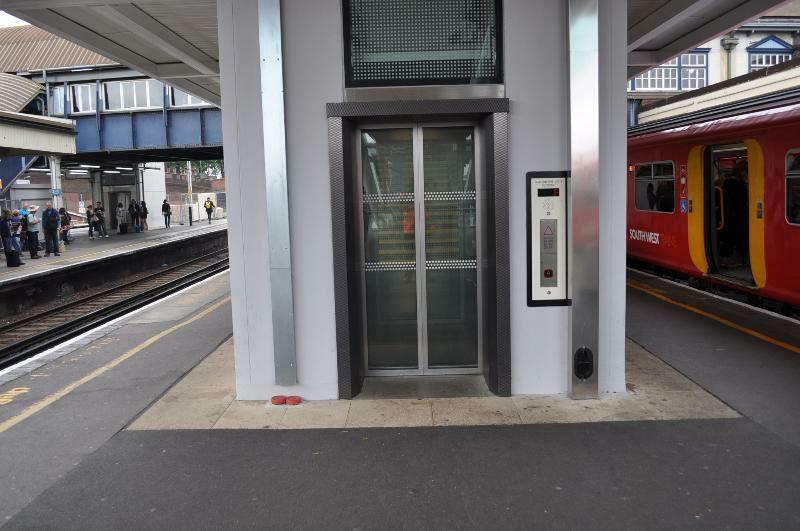 A new lift gives a step free access to the platforms. Network Rail has submitted its plan for platform extension: Platform 17 will be straighten and extended to accommodate longer trains. Network Rail will re-align the platform by building a “balcony-type” platform over the pavement on the station approach, with an emergency staircase at the end. As they re-align platform 17, Network Rail will use the opportunity to move the Platform 17 staircase to free space in the under-path and enlarge the ticket barriers. Instead of the current 7 ticket barriers, we will have 11. With more than 50% increase it will make a big difference, especially at rush hours. Network Rail are developing plans for Grant Road. 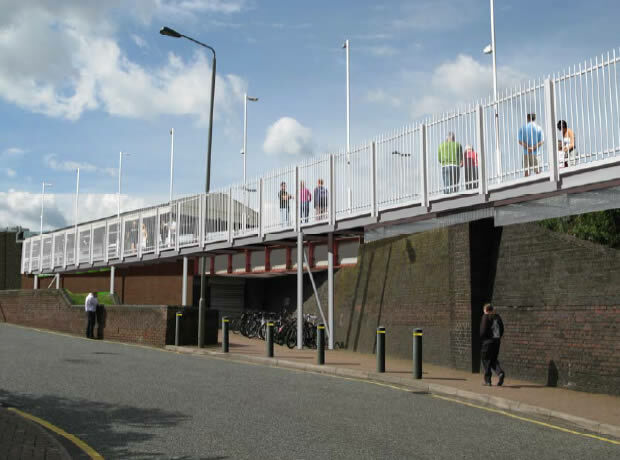 They want to install an exit down to street level on the Grant Road side from the high level gantry passageway across the platforms. They know they need to restore/allow a ticket-free way of going through the station from north to south, and are trying to see what they might do in this regard. 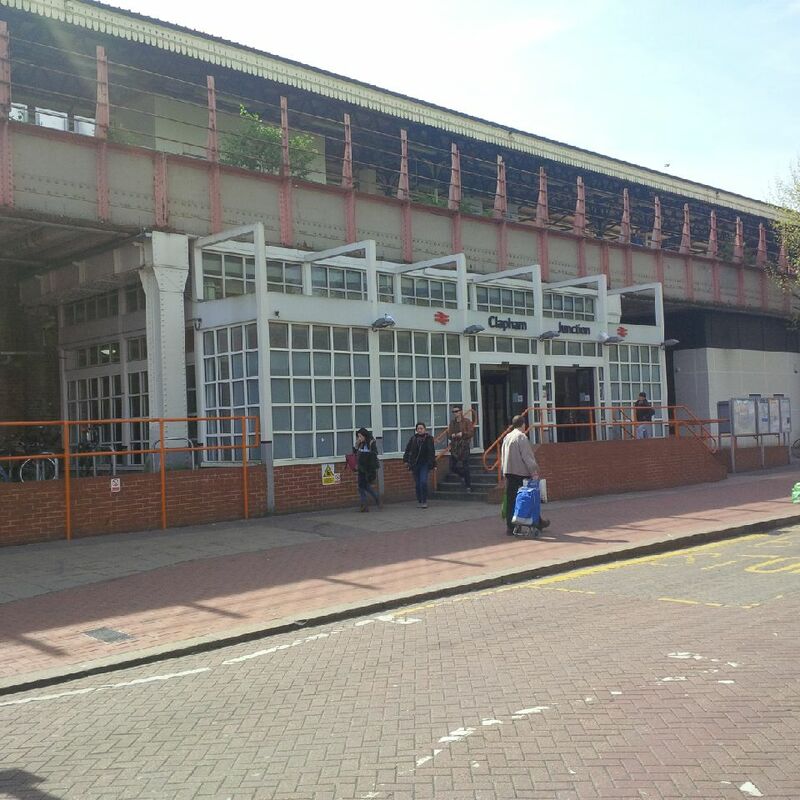 As we wrote in January 2009, the best way to get the station improved: To refuse the planning permission. You can see the result now and also remember it next time we have a promise to get a “once in a life time opportunity“! 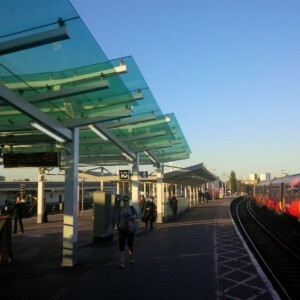 This entry was posted in Clapham Junction Action Group, The station, Wandsworth Events and tagged Clapham Junction, events by Cyril Richert. Bookmark the permalink.